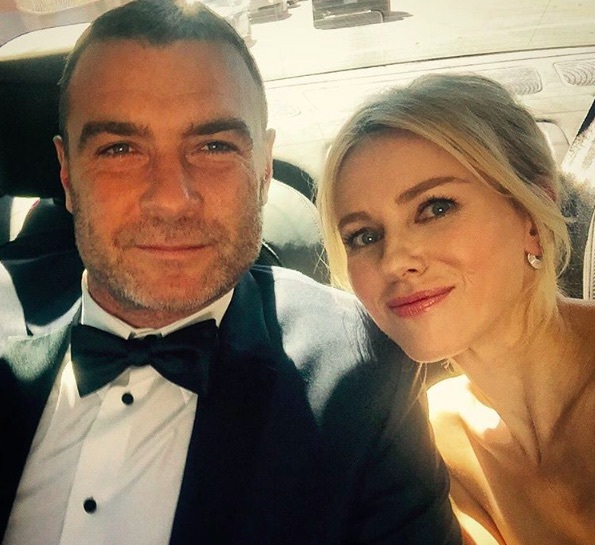 Liev Schreiber wished Naomi Watts a Happy Birthday, leading us to ask, can #breakupgoals be a thing? Since we heard the news that Liev Schreiber and Naomi Watts have called it quits after 11 years together, we’ve been super sad (especially since this last week was a double whammy for celebrity breakups…cough…Brangelina). But the silver lining is…the pair still seem to be friends. People just let us know that Schreiber wished his ex (and the mother of his two children) a happy birthday on social media. Here’s how it went down: On the big day — when Watts turned 48 — she posted this adorable photo of her (much) younger self on Instagram. "Another birthday!! #eek But I think I'm younger than this #vintage stroller? ? Not quite sure what's happening here... #eek #70's #photoop #oldschool #raisedbyartists." 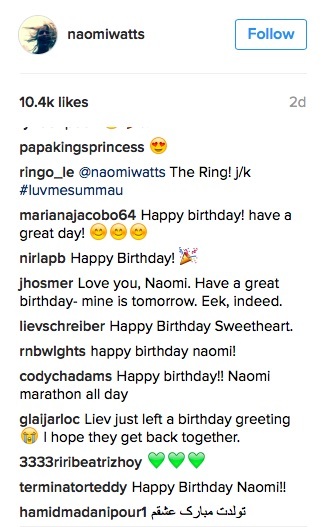 And nestled among the hundreds (literally) of birthday messages she received, was this little heartfelt message from Liev. "Happy Birthday Sweetheart," he wrote. Awwwwwww. If #breakupgoals are a thing, we just witnessed the best possible example of them. (Oh, and in case you’re wondering, Watts did celebrate her birthday with cake [pops] and yes it is relevant!). We’re going to miss Watts and Schreiber giving us #relationshipgoals, but they will always be a family. Phew, these are a pair of very special faces.